The cycling community has lost a beloved and well known individual with the loss of Sheldon Brown last night after he suffered a massive heart attack. Besides being a wealth of information, Sheldon was always very free with his time and helpful to all comers with any kind of bicycling question. He made the technical side of bicycling more approachable without a condescending attitude. He had a wonderful sense of humor with his annual April Fool’s bike products. He was 63 years old when he passed away at home. Sheldon Brown served as the “Parts Manager, Webmaster and general Tech Guru” of Harris Cyclery, a bike shop in West Newton, Massachusetts and a long time participant on rec.bicycles. *, as well as a number of bicycling email discussion lists and online bike forums. He was an enthusiast for many old and unlikely forms of bicycles and cycling including Raleigh and their English three-speed cycles, the Sturmey-Archer hub in general, tandems, and in particular fixed-gear cycles. Sheldon will be sorely missed. A very sad day for all bicyclists. My condolences to his family, friends and co-workers and to all of the rest of us in the cycling community who will miss him and his work. I’m sure Sheldon now rides where it never rains, the road is always downhill, the wind is at his back, there are no flats and always interesting people to meet along the way. Such a shame; millions of thanks to you, Sheldon. My deepest sympathy to Sheldon’s family. Thank so much for all the knowledge of information that inspires the cycling community. He will be miss. I feel at a loss. I am forever grateful to Sheldon for making so much about cycling easier; at least from a maintenance and understanding perspective. He will be greatly missed. Condolences to his family and those who knew him personally. Very Sad! Always generous with his knowledge and just a genuine good soul. You will be missed. My condolences. He’s definitely been a big part of what got me into wrenching on bikes. He will be greatly missed. Strange, I had a question this morning that I thought his glossary of terms could answer. I only just went to his site, got the answer, and then came here. What a shock to see the news. He had always been quick to respond and answer my e-mail questions and his resources were a staple for anyone needing anything to do with bicycles. My thoughts go to his family, and my eternal thanks go to Sheldon. I was deeply saddened to hear of Sheldon flying east. The cycling community will miss him. A truly outstanding personality to encounter. A loss to us all. His enthusiasm for vintage bikes, along with actually being able to supply manuals and parts for them was second to none. Every time I ride my Raleigh folder, I will think of Sheldon. he will be absolutely, and sorely missed. a fantastic example of what one individual can do to make the world better. I thought I saw him in Baltimore in the summer. When I emailed him to ask if it was him, he sent me a nice response. From everything I’ve ever read or heard, it seems like he was just plain nice to everyone, and that’s something we’ll be lacking now. Sheldon Brown has helped me in the past with questions about building my touring bike, and I have learnt so much from his pages. I have told people to read his information. He is right up there with Ken Kifer. I hope someone will keep Sheldon’s web pages going, so at least part of him will live on. I too will miss Sheldon! A very sad day indeed. I was saddened by Sheldon’s passing. He was a great voice and truly demonstrated the Joi d’ vivre that the simple bicycle brings to a life well lived. Let’s all take a page from Sheldon’s book and help spread our knowledge and love of cycling to get more people on bicycles and out of their cars. I believe the bicycling lifestyle is our last best hope. Inspire your partner, your co-workers, your friends and family! We were on our way to Newfoundland, in line for the ferry in Portland ME to Yarmouth NS. It was a while before the ferry departed, so we got out and stretched our legs, walking among the others waiting for the ferry to load. Checking out this social scene, I noticed a bearded guy with a group of people, handing out candy(?) to people, and having fun just meeting people. I can’t remember what made me think it was Sheldon (maybe a bike t-shirt?? ), but I was pretty sure it was him, and had to introduce myself to the legend. We talked bikes for a few minutes, and he was headed to a folk festival in Nova Scotia. I realize I’m stating the obvious, but he was just a great guy to meet. I am saddened by the news. Sheldon was my muse. I will have to name a bike after him in remembrance. Wow. That seems like a fitting tribute. That and a big ride on his birthday. Sheldon left a wonderful legacy and was/is a beautiful example of a generous spirit who inspires us all. What a wonderful man. We would all do well to emulate his example. Having been away for a while, I was shocked to hear of the sad news. Although we never met, I did follow his posts and emailed him on occasion. We were miles apart politically, but joined at the hip in our belief in rebuilding older bikes with modern adjustments. I name all my bikes, and the current conversion I have made, a rebuilt 80’s Bianchi hybrid type bike with a 7 speed Nexus hub, will be named in his honor. It is only fitting since it was his webpage instructions on the build that guided me. He was a enlightened visionary who was able to look in to past to see the future. My condolences to his family and friends. I found out about his death only today, in July 2008. Sheldon had helped me a few times by email messages sent to and from him. I own one of the very old Raleighs that Sheldon knew well and my questions to him concerned my dear Raleigh. I even once called him at the W. Newton bike shop and he was, as usual, helpful to me. I’m sad to know he’s gone now. He was a kind, wonderful human and was good to so many. 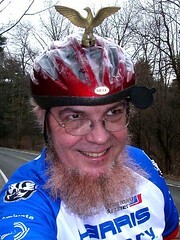 Hi, Sheldon Brown was and still is a great advocate for cycling in many ways. I have recently started reading his work on the web. What a timeless person. A person such as he lives on in his work an thoughts. I mention his name in Lubbock Texas and many here in cycling know of him!! Hi, Thank You Sheldon for everything you’ve contributed to the world. Your legend will carry on forever, i have no doubt. I just entered the world of cycling 2 years ago and you expertise and amazing knowledge is still and always will be the go to place for any rider of any degree. Thank You so much.